First Response M15, 'each upkeep' does include my opponents? How do creatures re-enter the battlefield. How do the ETBs stack and resolve with Restoration Angel and Mistbind Clique? Ender666666 Chasmolinker what do you guys think of this build? foregoing the addition of Ensnaring Bridge in the build and instead adding a little more removal also the addition of Bloodghast to help fuel our Cabal Therapist and Spark Harvest . game 2 we can always side in Bontu's Last Reckoning and Bitterblossom to help with adding extra bodies or killing things. thoughts? if you're going pure tokens (and dropping the artifact part) then you don't really need token doublers like Anointed Procession . 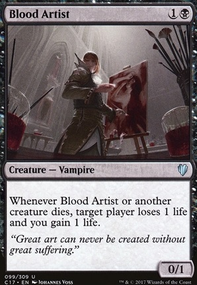 those cards are too slow imo, especially if playing in modern. it doesn't do anything when its cast, so at best it won't have an effect until turn 5. the cards you'd be using to create the tokens would cost less mana and end up being played before the Anointed Procession anyway. its also advisable to splash a 3rd color. as far as i know, blue doesn't have too many token effects compared to other colors. 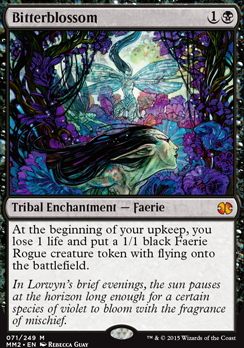 black offers Lingering Souls and Bitterblossom , and green has several cards that benefit from having more creatures in play like Huatli, Radiant Champion or Wayfaring Temple . as far as "staggering the same effect through different cards", that only matters if someone is playing something that affects all cards of the same name, like Maelstrom Pulse . those types of effects don't really come up often enough to worry about it. 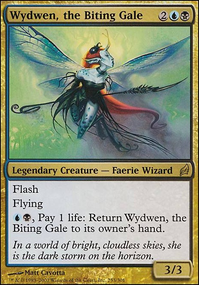 and finally, a Myr deck would be a different deck entirely. Funny you should say that hungry000. I was thinking about Bitterblossom earlier today. I think Bloodghast would probably be the better cut as I could always crew Smuggler's Copter with the tokens if needed. Sweet Mana Tithe deck :D. What do you think of Bitterblossom in place of those Copters? (or alongside, though idk what would be cut. maybe try it in place of Bloodghast?) You can use the token it makes to keep your Porphyry Nodes alive or just stack the Nodes trigger before Bitterblossom if you need to kill an opponent's creature. It might get in the way if you let a token live to your upkeep though. I thought of adding that card, it is quite reminiscent of Bitterblossom . 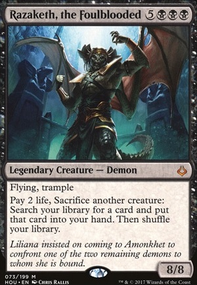 The problem I see is that Dreadhorde Invasion does give you one creature, and then it grows it, or it gives you one token to sacrifice it every turn. 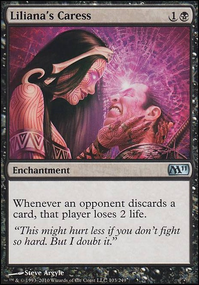 But in this deck you really want to accumulate several creatures as fodder, and sac them all to God-Eternal Bontu or some of them to the Priest of Forgotten Gods . 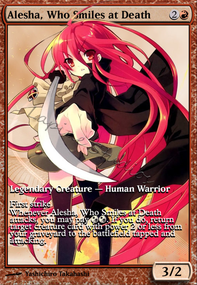 However, I want to try that card so bad! 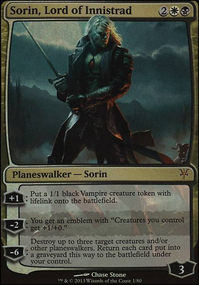 I might put together a Grixis Midrange Army deck or something like that! Forgot to mention Bitterblossom also works very nicely with Contamination . Are you going to try to make it competitive? Because I have a dumb idea: Use Saheeli, Sublime Artificer to turn something that has no time counters into a copy of Lost Auramancers , then somehow sacrifice it to find your Bitterblossom (or literally any other enchantment in your library).